What Is An Android Stick Computer, And How Can You Use It? Miniaturization has been a computing trend for decades, but it seems to have accelerated over the past five years. Even Intel’s NUC (Next Unit of Computing), a hockey-puck sized PC, looks large compared to ARM powered stick computers that are literally the size of a USB flash drive. A computer this small is not just portable. It’s pocketable. Users could theoretically attach it to a keychain and have it available anywhere they go. Which begs the question – can a computer this small be useful? Or is it just a novelty item? 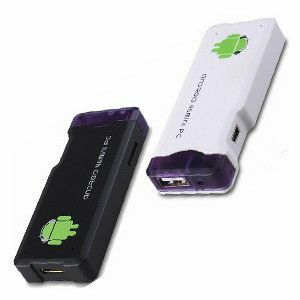 What Is An Android Stick PC? “Stick computer” obviously isn’t a technical term. In truth, there’s no agreed term for the small computers starting to trickle out from various manufacturers. The most likely candidate, in my opinion, is microcomputer. But that’s yet to catch on. Whatever you call them, these small PCs are different from normal desktops both in size and hardware. Because they are small they can’t fit a powerful x86 processor. Instead they use low-power ARM processors What Is an ARM Processor? Everything You Need to Know What Is an ARM Processor? Everything You Need to Know If you’ve paid any attention to smartphones and tablets you’ve likely heard of the term "ARM" used to refer to the hardware inside. It’s thrown around left and right, often as a point of differentiation... Read More like those found in most smartphones and tablets. This means they can’t run Windows 8, so they run Android or Ubuntu’s ARM variant instead. 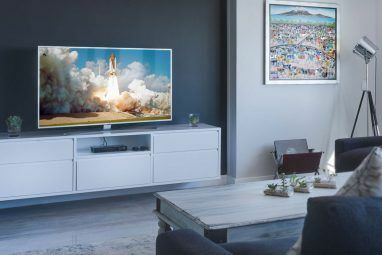 Most Android stick PCs connect to a display via HDMI Video Cable Types: Differences Between VGA, DVI, and HDMI Ports Video Cable Types: Differences Between VGA, DVI, and HDMI Ports There are so many video cables out there and it can get confusing. VGA, DVI, HDMI, DisplayPort -- what's the difference and why do they even matter? Read More and also offer at least one USB port. Wi-Fi and Bluetooth are featured on some, particularly those priced at $100 or more. Though nearly as small as a flash drive, stick computers sometimes require an external power adapter. Having a computer in your pocket means having a device you control wherever you go. This is a boon to security. There are many places, like libraries and coffee shops, that offer computers for public use – but how can you know they’re trustworthy? They could be loaded with all manner of malware. Even checking Gmail could be a risk. A pocketable PC skips this issue. It boots from your operating system and can be plugged directly into a display, by-passing the host computer completely. And because these PCs generally run Android they won’t be vulnerable to the Windows malware that dominates public computers and networks. People who need to be productive while traveling usually own a laptop, but most people can’t (or don’t want to) take a laptop everywhere. The system will often be left in a hotel room or at home during short trips. Most people have no choice but to rush back if anything requires their attention. Stick computers partially solve this problem. If you can find a display and a keyboard, you can have access to a computer. Many options, like the Cotton Candy, can even use a laptop display in a pinch. Business owners may be interested in stick PCs because of their potential for use with digital signage. That’s that technical term for the use of an HDTV, rather than a big sheet of paper or cardboard, as a banner, message board or menu. Stick computers work great in this role because they’re inexpensive, small, silent, and portable. This means they can be used at with any sign, anywhere – handy for small business owners who visit a lot of trade shows and conferences. Though useful for work, stick computers can and are equally equipped for play. Most come with a dual-core ARM processor and a GPU capable of 1080p video. This, combined with HDMI-out, can turn any display into a streaming center. The scenario is easy to imagine. 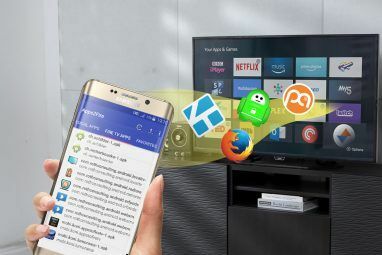 Plug in the stick, load Android, open the Netflix or Hulu app using a wireless keyboard or remote. 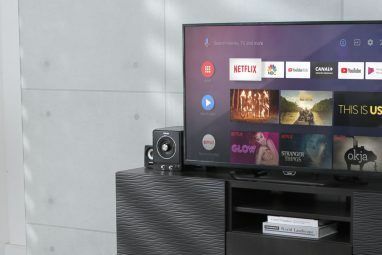 The interface may not measure up to a dedicated streaming box like the Roku 6 Reasons Why You Need A Roku [Opinion] 6 Reasons Why You Need A Roku [Opinion] Electronics can be evil. A short time ago I wrote an article about using the Xbox 360 as a media center. I concluded that it wasn’t the best choice. Sensing my betrayal, the 360 promptly... Read More , but the experience will be nearly identical once a movie starts to play. Many stick computers include a USB port. That means you’ll also be able to play compatible video files off an external flash or hard drive. Stick computers generally run Android either exclusively or alongside Ubuntu. Android, as you probably know, has an app store full of inexpensive games that range from quick, fun titles like Angry Birds to wonderful ports like Chrono Trigger and original games such as Battleheart [No Longer Available]. Plugging the computer into a television will provide instant access to a lite game console. This isn’t an original idea. Ouya is a tiny Android device that’s trying to turn itself into a full-fledged console. Gamestick is even more direct. It’s literally a stick you plug into a display to play games – and that’s it. Both Ouya and Gamestick will ship with a controller. A typical stick computer won’t, so you’ll have to find your own way to control titles. Controllers built to work with smartphones and tablets, like the MOGA or SteelSeries Free Mobile, should work with a stick computer as well. Are small PCs the future of computing? Maybe – or maybe not. Though cheap and practical, the power and cost restrictions of these devices also hampers their functionality. Most are slower than current high-end tablets and much slower than any x86 computer. Then again, these tiny PCs aren’t meant to fill the same role. What do you think? Is a stick computer in your future? ARM cannot run Windows, but x86 can run Android. B. put the HDMI slots in a very inaccessible place or even prevent you from accessing it. I believe that this is just a novelty. It will be interesting to see where this goes. I don't think I would have a use for it, personally, but it does seem interesting. Great read. Very informational and very understandable. Must read for anyone wanting to understand the basics of "stick computers". Thanks to Matt Smith & MakeUseOf.com! I think another use could be for revive an old pc or notebook. Currently no. Still sounds more as a novelty than anything, especially with the tablet segment has just matured. I'm more interested to OUYA, if that counts. I can some uses for it as a portable multi tool for diagnostics. progamabled right and with a variety of usb plug in specialized sensor or attachment you might have a handy tool for mechnanics it might be used to diagnos car problems although they have perfectly capable tools for that now , other industrie might use one instrument to check to identify a variaty of harmfull gases and the concentration but again those tools exist, or like you said to be used to drive digital signage and menus. hmm most inventions fit a particular need this one isn't there yet or the need doesn't exist yet, guess we'll see. Credit cards have fallen victim to credit card skimmers, and likewise, I think if "pocket PCs" become prevalent, they can fall victim to a similar attack. Perhaps like one of the usb keyloggers that already exist today. If demand exists, I'm sure people could design them in a way that isn't easily noticeable. Also, these benchmarks are a year old, but show that in many cases modern ARM processors can match if not out preform low end modern x86 processors (such like the Atom). What a manufactures should consider is an ARM powered usb mini PC that can be inserted into a portable display (like a tablet with removeable components) and be removable as well to be plugged into TVs or monitors. 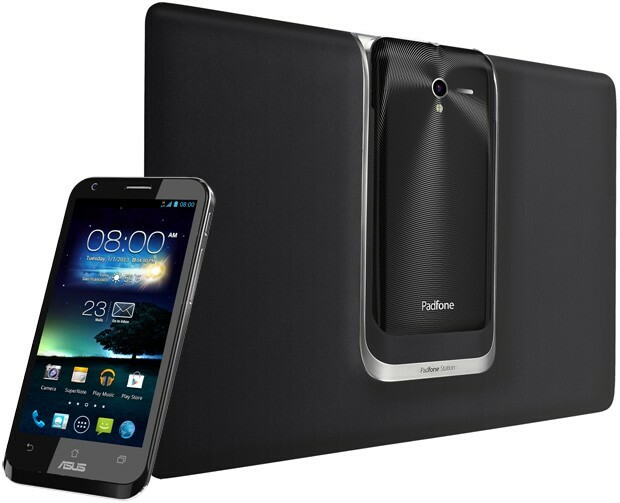 It would be a bit similar what Asus did with the PadFone, but smaller and more discrete due to it being flash drive sized instead of smart phone size. It's a great article. Unfortunately, I don't think the subject is worthy of the writing quality. It may well turn out to be about as practical as the old bag phones we thought were so hot, simply because they were new. They looked important, but the truth was, they weren't very useful LOL. More of a status symbol than an actual usable gadget, just as it appears that this is....at least in its current form. Then again, it amazes me that people will buy a TV half the size of a tennis court and then watch TV on the 3" screen on their phone, so maybe I just don't "get it"....or want to LOL. Are we looking at the next generation of computers? Don't think so. Smartphones can be connected to displays, keyboards, mouse and a pile of USB devices. So we are able to transform a cell phone into a computer just by connecting it. It can deliver connectivity and processor power to run applications. The tiny computer or USB computer approach still needs the same elements as the smartphone to interact (screen, keyboard, etc) but it doesn't do anything by itself. With the smartphone approach the device has functionality by itself and still can deliver a plus by connecting it to external hardware. Wich program do you use for this "So we are able to transform a cell phone into a computer just by connecting it. It can deliver connectivity and processor power to run applications. " Actually what we all need is a big screen. You can connect most smart devices nowadays with a HDMI. Most of them allow either a USB connection so you can attach keyboard and mouse or in some cases you need to deal with Bluetooth devices. You'll end up with a keyboard, mouse, big screen and connectivity (from your smart's WiFi or your data plan). I use it to control (VNC or RDP) my office computer, you can navigate through devices connected to your personal network and I am using less time the laptop to do that. It's not a matter of software but of hardware. I'm still waiting for a stable version of Ubuntu for smartphones. I use it on my laptop and bet that it's going to help me out to get a little more out of my smartphone's capacity. These are my feelings exactly, I already carry an android phone, that will do all of these things and more, and has it's own screen and input methods. Why would I carry something that can do less, and has no screen or way to input data...? A solution to a problem that doesn't actually exist. Price is too high, not really worth it. While it may be true that is 'portable', it isn't that portable at all. You still need to bring your own devices like a keyboard, mouse, controllers etc. Sure, your files are kept in it and you can bring your data on the go but come on I can do that with a Live USB, besides, we have the cloud for data on the go. Just as silly as the "smart phone" computer one of your buddies wrote about recently. Without at least a keyboard and a monitor it's just a useless piece of techie junk. It would also be nice to have a mouse. And please do not tell me about "public computers". Most, if not all, places that have "public computers" will not allow you to disconnect the cables. In fact, all cable connections are hidden safely from public's prying fingers. I think the biggest advantage to these sorts of "sticks computers" is carrying it around or leaving it in a hotel room and not having to worry or care if it gets stolen because of the price point. Don't get me wrong, if some one stole it from me I'd be pissed, but not nearly as much if my tablet or laptop was stolen just based on price alone, you know? $80 gone is not as bad as $500, right? Not bad but seriously not interested. Seem like you got to get a lot of add-on devices just to use it which in the long run is like carrying a laptop only parts are solid separately. If it had a rechargeable battery, strong wireless capabilities for wireless monitor, keyboard and printer, G.P.S., better desktop features and all, then I would consider it WORTH it but for now its far from the mobile ideal from a economic geeky stand point. Appropriated the review by the way. Who needs a $199 Cotton Candy if you can buy a 7-in Android tablet for the same price? I will consider buying a stick computer for $50-75, not more. The one he is using int his video is $34 on amazon. "The most likely candidate, in my opinion, is microcomputer. " I think "stick computer" is just fine as a term for these devices since almost all of them are in the form of a "USB stick". Matt: http://begthequestion.info/ Otherwise, it was a good read, nice article!